Mary Hennessey, Esq., is General Counsel for the Patient-Centered Outcomes Research Institute (PCORI). She is responsible for managing PCORI’s legal affairs, including advising its Board of Governors, senior executive team, and staff on a wide array of legal and risk management issues relating to PCORI’s programs, corporate governance, and operations. 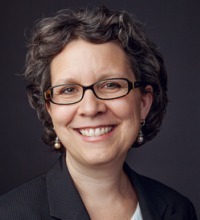 Before joining PCORI, Hennessey was Senior Counsel for the American Society of Clinical Oncology (ASCO), where she was served as the primary counsel for ASCO’s affiliate, the Conquer Cancer Foundation, and as the Compliance Officer. Hennessey also has served as an attorney in the Center for Drug Evaluation and Research at the U.S. Food and Drug Administration, focusing on compliance matters relating to drugs, and as an Associate with Ropes & Gray, LLP and Michaels, Wishner & Bonner in their healthcare practices, where she represented academic medical centers, hospitals, physician groups, insurers, and managed care organizations. Hennessey served as a law clerk to The Hon. Thomas F. Hogan in the U.S. District Court for the District of Columbia. Hennessey is a graduate of Harvard Law School and Harvard College. She is a member of the bars of Maryland and the District of Columbia. Currently, she is a voting member of the U.S. Department of Health and Human Services Advisory Council on Blood Stem Cell Transplantation.